Doctor of Theology, Boston University, Boston, MA, 2010. Dissertation Title: Ubuntu, Jesus, and Earth: Integrating African Religion and Christianity in Ecological Ethics.Supervisors: Professors John Hart, and Marthinus Daneel. Post-Graduate Advanced Certificate in Feminist Liberation Theologies, Episcopal Divinity School, Cambridge, MA, 2003. Master of Arts, Trinity College, University of Bristol, Bristol, UK, 1998. Bachelor of Theology, 1st class, Double major: Education, and Pastoral Theology, Theological College of Central Africa (renamed Evengalical University College), Ndola, Zambia, 1997. African Religion, Colonialism and Postcolonialism, Indigenous Peoples’ religions, Global Christianity, World Religions, history of Christian Mission, intersection between traditional religions and global sexual politics, eco-social and cross-cultural Ethics, Human Rights and civil religion, and Ecological Theology and Ethics. Visiting Researcher, Boston University, 2010 to date. Adjunct Professor, Episcopal Divinity School, 2010 to date. Senior Researcher, Political Research Associates, Somerville, MA, 2008 to date. Adjunct Professor, St. John’s University College, Kitwe, Zambia, 2008 to date..
Rector, Episcopal Parish of Christ Church, and Iglesia de San Juan, Diocese of Massachusetts, Hyde Park, MA, 2004 to date. Editorial Chair of the Edinburgh 2010 Missionary Conference Series’ volume on Ecology and Christian Mission, 2013 to date. Religion Fellow, Boston University, 2011 to 2014. Guest Lecturer, African Theology, Boston University School of Theology, 2010 to 2012. Guest Lecturer, African Christianity, Boston University School of Theology, 2010 to 2011. Visiting Lecturer, University of Pretoria Law School, Pretoria, South Africa, 2010. Teaching Assistant, Homiletics, Boston University School of Theology, 2004 to 2008. Research Assistant, Boston University School of Theology, The School of Prophets Project, 2007. Teaching Assistant, social Ethics, Episcopal Divinity School, 2002 to 2003. Academic Dean, St. John’s University College, (former St. John’s Anglican Seminary), Zambia, 2001 to 2002. 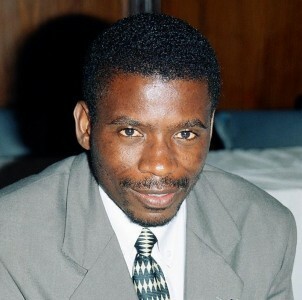 Lecturer, Africa University, Mutare, Zimbabwe, 1998 to 2001. High School Teacher, St. Augustine’s High School, Penhalonga, Zimbabwe, 1996 to 1997. Community Life Assistant to the Dean of Students, Boston University School of Theology, 2008 to May 2010. Priest Associate, Christ Church and Iglesia de San Juan, Hyde Park, Boston, MA, 2003 to 2004. Priest in Charge, St. George’s Anglican Church, Luanshya, Zambia, 2001 to 2002. Dean, Anglican Cathedral of St. John the Baptist, Diocese of Manicaland, Mutare, Zimbabwe, 2000 to 2001. Rector, Holy Name Parish, Diocese of Manicaland, Mutare, Zimbabwe, 1998 to 1999. Superior, Anglican Franciscan Brothers of the Community of the Divine Compassion, Zimbabwe, 1997 to 2001. Religious Brother, Anglican Franciscan Brothers of the Community of the Divine Compassion, Zimbabwe, 1989 to 1996. Minister, Church of England, Bristol, UK, 1997 to 1998. Assistant to the Dean, Cathedral of the Holy Nativity, Ndola, Zambia, 1995 to 1997. Moderator, World Council of Churches (WCC) Reference Group on Human Sexuality, 2014 to date. Member, United Nations AIDS Religional Think Tank, 2014 to date. Canon of the Anglican Cathedral of the Holy Nativity, Diocese of Central Zambia, Church of the Province of Central Africa, 2011. Consults with, and briefs the U.S. State Department on Gay and Lesbian Rights in Africa, 2010 to date. Africa Advisory Board member, International Gay and Lesbian Human Rights Commission, 2012 to date. Board member, Episcopal City Mission, Boston, MA, 2008 to date. Coordinator, Jubilee 2000 Campaign, Trinity College, Bristol, UK, 1997 to 1998. Ordained in the Anglican Communion, Anglican Diocese of Central Zambia, Church of the Province of Central Africa, 1996. Biblical Ethics in African Christianity, forthcoming, under review. The Creator’s Symphony: African Christianity in the Age of Climate Change, Cluster Publications, Dorpspruit, Pietermaritzburg, 2015 (Forthcoming. A Post-Jubilee Cry: Sacred Tears for Mother Zambia 1964 – 2014, forthcoming, University of Malawi Kachere Press. Raised Hopes, Shattered Dreams: Democracy, the Oppressed and the Church in Africa (The Case of Zambia), Africa World Press, NJ. 2015. American Culture Warriors in Africa: A Guide to Expoters of Homophobia and Sexism. Cambridge, Political Research Associates, 2014. God’s Family, God’s Earth: Christian Ecological Ethics of Ubuntu, Zomba: University of Malawi Kachere Press, 2013. Colonizing African Values: How the U.S. Christian Right is Transforming Sexual Politics in Africa (A Publication of Political Research Associates), 2012. Globalizing the Culture Wars: U.S. Conservatives, African Churches and Homophobia (A Publication of Political Research Associates), 2009. Editor, Christian Mission and Ecology, Edinburgh 2010 Series, Oxford: Regnum, 2015 (forthcoming). Editor, Debates on Human Sexuality, Special Issue, Journal of Theology for Southern Africa, Forthcoming. Editor, African Positions on Human Sexuality, Cluster Publications, Dorpspruit, Pietermaritzburg, forthcoming. “The First Born or the Ecological Ancestor? The Earth in the Missio Creator Dei,” Christian Mission and Ecology, Kapya J. Kaoma, ed., Edinburgh 2010 Series, Oxford: Regnum, forthcoming. "The Serpent in Eden and in Africa: Intercultural Interpretation,​” in Blackwell Companion On Religion and Ecology, John Hart eds., Blackwell, forthcoming. “Ecology and Mission (marturia): The place of the church in God’s House Holding,” (Input in Ernst M. Conradie and Annalet van Schalkwyk), Ernst M. Conradie ed., Cluster Publications, Dorpspruit, Pietermaritzburg, forthcoming. “An African or Un-African Sexual Identity? Religion, Globalisation and Sexual Politics in sub-Saharan Africa,” in Public Religion and Politics of Homosexuality in Africa, Adriaan Van Klinken and Ezra Chitando eds., forthcoming, Ashagate, London. “The Marriage of Convenience: The U.S. Christian Right, African Christianity and Post-Colonial Politics of Sexual Identity,” Global Homophobia: States, Movements, and the Politics of Oppression, Michael J. Bosia and Meredith L. Weiss eds., Urbana: University of Illinois Press, 2013:75-102. “The Fifth Mark of Mission: To Strive to Safeguard the Integrity of Creation and Sustain and Renew the Life of the Earth,” in Life-Widening Mission: Global Anglican Perspectives, Cathy Ross ed., Oxford: Regnum Books, 2012: 75-92. “Witnessing for Christ Today, Christian Mission Beyond Edinburgh 2010,” in 2010 Boston: The Changing Contours of World Christianity, Todd M. Johnson and others eds., Eugene, Pickwick Publication, 2012: 267-272. “Missio Dei or missio Creator Dei: Witnessing to Christ in the Face of the Occurring Ecological Crisis,” in Mission Today and Tomorrow, Kirsteen Kim and Andrew Anderson eds., Oxford: Regnum Books, 2011: 296-303. Originally presented at the Edinburgh 2010 Missionary Centennial Conference, Edinburgh, Scotland, June 2010. “Earthkeeping as a Dimension of Christian Mission: David Livingstone’s Attitude toward Nature: A Challenge to Earthkeeping Missions,” in Tracing Contours: Reflections on World Mission and Christianity, Rodney L. Pettersen and Marian Gh. Simion eds., Boston Theological Institute, 2010: 74-76. “The Un-gendered Children of God: Jesus, Eunuchs and African Sexual Minorities,” Journal of Theology for Southern Africa, forthcoming. “Ubuntu, African Christianity and Sexual Minorities: An Invitation to Dialogue on Human Sexuality,” Journal of Theology for Southern Africa, forthcoming. “Cutting off the Cords of the Trade of Hell: Revisiting Bishop Mackenzie's Abandoned Mission to Central Africa (1860-1864),” Journal of Theology for Southern Africa, forthcoming. “The Paradox and Tension of Moral Claims: Evangelical Christianity, the Politicization and Globalization of Sexual Politics in sub-Saharan Africa, Critical Research on Religion, No. 2. Vol. 3 (2014): 227-245. Originally presented as “Globalisation and the Politics of Homophobia in Sub-Saharan Africa,”London School of Economics, March 6, 2013. “Post Edinburgh 2010 Christian Mission: Joys, Issues and Challenges,” Journal of Theology for Southern Africa, 150 (November 2014): 112-128. “Changing the Earth-Human Paradigm: David Livingstone’s “Duty to Sacred Regard for Life,”’ Journal of Theology for Southern Africa 149 (July 2014): 70-89. “The Culture Wars come to Zambia: Intercepting the International Human Rights,” Publiceye Magazine, XXVII, 2, Summer, 2012: 1, 11-16. “Exporting Anti-Gay Movement,” The American Prospect 23, 4, May 2012: 34-37. “Exposing Trafficking in Bigotry: Anti-gay activities of U.S. religious Conservatives in Africa, Conscience Magazine, June 22, 2011: 34-37. “How U.S. Clergy Brought Hate to Uganda: A Legal Push to Execute Gays Began with a Visit from Evangelicals,” The Gay and Lesbian Review Worldwide 17. 3, May-June, 2010: 20-23. “Who’s Colonialist: African Antigay Politics in the Global Discourse,” Publiceye Magazine, Fall, 2010: 3-8. “Globalizing the Culture Wars,” The Commonwealth Magazine, October-November-2010: Issue 14: 14-17. “The U.S. Christian Right and the Attack on Gays in Africa,” Publiceye Magazine, (Winter 09 and Spring 10 Edition), 2010:1, 31-38. “Are Prophets Born or Made? Reflecting and Respecting the Academic Legacy of Boston University,” Focus, Boston University School of Theology, Special Issue, March, 2008:26-29. “When the Walls of Jerusalem Fall: Mission to the West,” Boston Theological Institute Newsletter, Volume XXXIV, 2005. “Incarnational Politics, Saving the World from Democracy,” Co-authored with Elizabeth Parsons, The Witness, July 19, 2002. “God, Humanity and Nature: Revisiting St. Francis of Assisi,” Listening: Journal of Religion and Culture 35, Fall, 2000: 222-238. “Exporting Hate: How anti-gay Christians evangelize hate abroad,” Los Angeles Times, March 23, 2014. “Uganda Passes Anti-Homosexuality Bill Despite (or Due to?) U.S. Opposition.” Religious Dispatches, Feb, 17, 2014. “Did Uganda’s President really veto the Anti-Gay Bill?” Religious Dispatches, Feb. 3, 2014. “Long Walk to Freedom: What African sexual minorities can learn from Tata Mandela,” Political Research Associates, December 11, 2013. “Dartmouth’s folly and the struggle for LGBTQ rights in Africa,” Principal author, Fall, 2013. “American 'Ex-Gay' Movement Paves Way for Global Harm,” The Advocate, May 2, 2013. “Making Anti-Gay Christian-Right Views Law, at Home and Abroad,” Huffington Post, March 30, 2013. “When Democracy Fails: Gays are Zambians Too,” Lusaka Times, April 10, 2012. “Does God Make Mistakes? Addressing the issue of Gays,” Lusaka Times, April 7, 2013. “U.S. Christian Right links with Zimbabwe’s Mugabe to Suppress Gay Rights,” Global Post, October 2, 2012. “Fighting a Cadre Political Syndrome,” Lusaka Times, November 4, 2012. “Addressing Tribalism in Zambia,” Lusaka Times, August 20, 2012. “Rick Warren should Denounce Uganda's Anti-gay Legislation,” Global Post, December 10, 2009. “For the People of God and the Whole of His Creation,” Keynote, Mission Open Forum, Bath and Wells, April 25, 2015. “Africa’s Sexual Battle: Retracing the Christian Right Activities in Post Independence Africa (1960-2015. Regional Strategy Workshop on Sexual and Reproductive Health and Rights in Africa, Nairobi, Kenya, February 11, 2014. “A Scramble for African Values: How the U.S. Christian Right is Influencing African Sexual Politics,” Working Paper, Presented at the African Studies Association, Baltimore, Maryland, 2013. “Gay Rights as Human Rights,” World Affairs Council, Seattle, Washington State, May 15, 2012. “Historical Perspectives - Our Baptismal Covenant and Mission,” Global Episcopal Mission Network Educational Institute and Annual Meeting, Connecticut, May 3 - 5, 2012. “Mission, Theological Education and the Environment,” Presented at All Africa Theological Education by Extension Africa, Accra, Ghana, October 5, 2010. “The One who Talks, Gives Wisdom: Some Reflections on Africa’s Opposition to Human Sexuality,” Plenary Paper, First African Dialogue on Christianity and Sexuality, Stellenbosch, South Africa, November 3, 2009. “What it Means to be a Man or Woman in Africa: The Historical Roots of African Homophobia,” Presented at MSASA Scholars’ Symposium, Episcopal Divinity School, April, 2009. “Revisiting the Question of Ancestors and Ethics of Democracy in Africa: A Point of View,” Presented at MSASA Scholars’ Forum, Episcopal Divinity School, Cambridge, MA, April, 2007. “When the Spirit Becomes Visible: The Manifestation of the God in Nature,” Presented at African Studies Student Conference, Boston University, 2005. “Our Blood will Mean Something at Last: The African American Influence in the Theology of John Chilembwe,” Orlando Costas Consultation on Global Mission, Presented at Andover Newton Theological School, Newton, MA, 2004. “Towards an Ethic of Sustainable Development,” Presented at Justo Mwale Theological College, Lusaka, Zambia, 2002. “Philosophical Critique of Political Developments in Southern Africa,” Presented at Faculty Seminar, Africa University, Mutare, Zimbabwe, 2000. "Love is a Family Value: Supporting all Families," United Nations, Human Rights Day, December 10, 2014. “Rights and Religions: The Fights of/within Religion,” Union Theological Seminary, November 15, 2013. “Taking a Stand,” Sundance Film Festival, Utah, January 20, 2013. “Overview of the Culture Wars beyond East Africa: Implications of Dominionism for Local and International Issues,” Keynote Address, United Nations Consultation: Compass to Compassion, Union Theological Seminary, October 11-12, 2011. “Reports from Edinburgh, Tokyo and Cape Town,” Boston2010 Mission Conference, Boston University, November 5, 2010. “Debriefing Edinburgh 2010,” Boston University School of Theology, November 4, 2010. “Criminalization of Sexuality in Sub-Saharan Africa,” Harvard Law School, April 3, 2010. “Religious Freedom and Sexual Orientation: The Impact of US Evangelical Movements on Sexual Rights Advocacy Worldwide,” United Nations, New York, March 2, 2010. “Policing Sexuality: Law, Society, and Homosexuality in Sub-Saharan Africa,” New York University Law School, February 17, 2010. “A Response to Jacob Olupona on Biblical Religion and Public Life in Africa,” Society for the Biblical Literature and African Association for the Study of Religion Annual Conference, Boston, November, 2008. “Theology, Environment and Peace: Why the Earth Matters to God,” Plenary Paper, Dag Hammarskjold Memorial Seminar, Sponsored by the Swedish International Development Agency (SIDA) in conjunction with the Mindolo Ecumenical Foundation, Kitwe, Zambia, September 15, 2006. God Loves Uganda, 2013 Sundance Winning Movie Documentary, 2013; “Gospel of Intolerance,” Op-Doc, The New York Times, January 23, 2013. TV and Radio stations, such as: BBC, Al Jazeera, Democracy Now, The Rachel Maddow Show, National Public Radio, and France 24. Cited by: CNN, The Associated Press, The Boston Globe, The Church Times, The Economist, The Global Post, The Guardian Newspaper, The London Times, The New York Times, The Vancouver Sun and Time Magazine. 2014 International Human Rights Award, Lesbian and Gay Assiciation Mexico City, Mexico. February 28, 2014. Boston University School of Theology Leadership Award, 2010. Boston University academic-based doctoral fellowship, 2003 to 2005. Boston University merit-based African Studies Fellowship Award: 2004 to 2008. Merit based Rockefeller Research Fellowship, Boston University African Studies Center, 2006. MSASA Competitive Scholarship for doctoral-related field research in Africa, 2006. Study-Link Fellow, Trinity College, University of Bristol, United Kingdom, 1997 to 1998. Best BTh. Student, Theological College of Central Africa, Ndola, Zambia, 1997. Fluent in spoken and written English, Shona, Bemba, Nyanja. Reading knowledge of French and Biblical Greek.